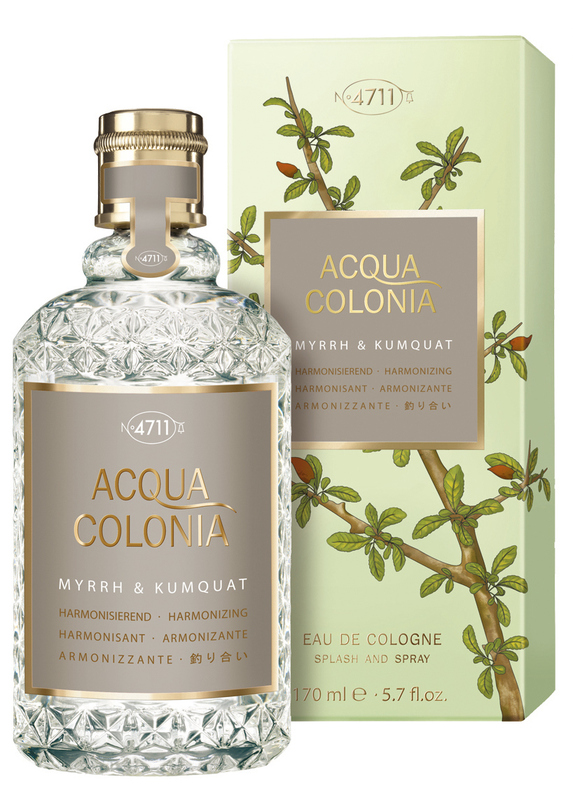 Acqua Colonia Myrrh & Kumquat is a new perfume by 4711 for women and men and was released in 2018. The scent is fresh-sweet. It is being marketed by Mäurer & Wirtz. I'm actually not a fan of sweet fragrances, but since the new Acqua colonia fragrances are a must-have for me, this new release has also landed in my collection. I feared bad, but I'm positively surprised. Okay, it's not as harsh as I prefer it to be, and I'm not likely to use it in the summer because, as a wasp allergy sufferer, I avoid all scents in the summer that might even begin to attract the little killers-to which I clearly add this scent here. Towards the winter, however, I had a good idea of it, also because it contains a somewhat sour note. Maybe I'll try a layer of cologne - I could well imagine that this would soften the sweetness a bit. The durability is quite good for an EdC, because it is still perceptible after several hours. There is no such thing as a great course of events, which personally does not even bother me. Probably won't be my favorite fragrance, but the flacon will surely be used up. Conclusion: nothing earth-shattering, but okay. 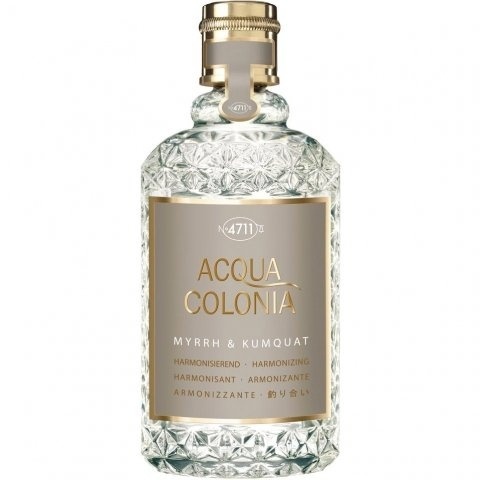 Write the first Review for Acqua Colonia Myrrh & Kumquat!